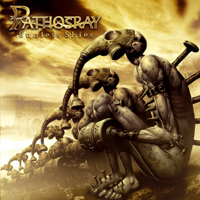 Pathosray hit the progressive metal scene with a huge bang back in 2007 with their very impressive debut album. This time around they have taken a more controlled and laid back approach to things and the aggressiveness of the debut album has almost disappeared. 'Sunless Skies' picks up where they left us two years ago, and Pathosray has created another showcase of progressive metal. The technical level is very high, the deliverance is flawless, the production is well balanced and powerful and the songs are intense and innovative. The new direction suits them very well, and 'Sunless Skies' is clearly a step up the latter for them. They are clearly influenced by bands like Fates Warning, Evergrey, Dream Theater and Symphony X, but they are more than capable of utilizing those influences to something of their own, something unique and special. The album is demanding on the listener and might not stick as fast as expected, but give it time to grow and blossom and you will discover ten wonderful pieces to the puzzle that ends up being an outstanding piece of progressive metal.